Remembering Srebrenica welcomes today’s news that Radovan Karadžić, former President of the Serbian Republic of Bosnia and Herzegovina (now the Republika Srpska) and the Supreme Commander of the Bosnian Serb armed forces has lost his appeal and been sentenced to life in prison. The Appeals Chamber of the International Residual Mechanism for Criminal Tribunals rejected the grounds of appeal submitted by the Defense. Karadžić was held responsible for the genocide perpetrated in Srebrenica in 1995 – the worst atrocity on European soil since the Second World War, in which over 8,000 Muslim boys and men were murdered simply because of their Islamic identity. Karadžić who was the architect of the genocide in Bosnia was also convicted of crimes against humanity across the country in which thousands of more victims were murdered, between 20,000-50,000 women raped, and 1.3 million people displaced. His conviction for other counts including extermination, persecution, murder, deportation, inhumane acts (forcible transfer), terror, unlawful attacks on civilians and hostage-taking were all upheld. 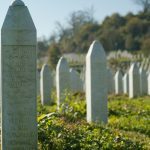 The verdict of the Appeals Court confirms what has already been established by two international courts that the atrocities committed in Srebrenica were genocide. This is a matter of fact that will not change, irrespective of how hard some may try to rewrite history and deny that Srebrenica was a genocide. We, therefore, strongly condemn the recent decision taken by the Republika Srpska National Assembly to establish a commission whose aim is to help re-write these facts. Their antagonistic actions are a flagrant disregard for the rulings made by the international courts. It not only seeks to aggravate the pain and suffering of survivors but closes the door for reconciliation, increases hatred and division and of course, helps to continue the glorification of the perpetrators of the genocide and ethnic cleansing. 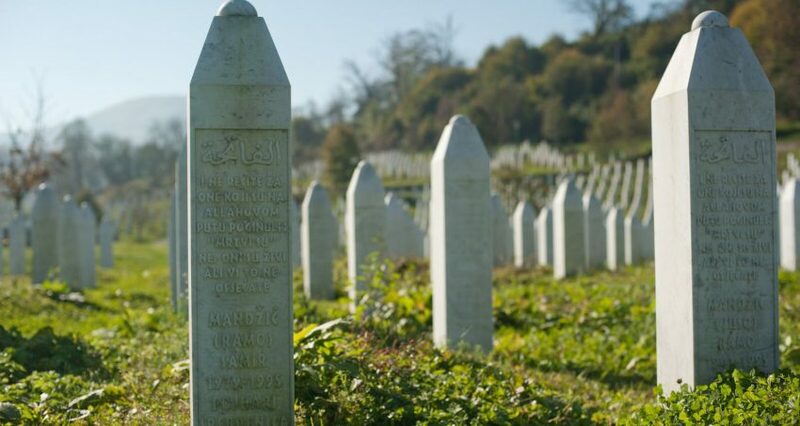 As recent events show, the impact of genocide denial and the glorification of perpetrators of the Srebrenica genocide is reverberating in Bosnia and across the word. It was sickening to learn that a Serbian nationalist song that glorified Radovan Karadžić was being played en-route by the individual who killed 50 Muslims in the worst Islamophobic terror attack in two mosques in New Zealand. The verdict sends an unequivocal message that the perpetrators of such atrocities will be held accountable for their actions and face the full consequences of international law for the crimes that they have committed. The significance of today represents more than just a sentence against one individual. It represents a powerful rebuke to genocide deniers and shows that those who seek to divide communities with an ideology fuelled by religious and ethnic hatred will be brought to justice. Although it will never eradicate the untold pain and suffering that Karadžić has caused for thousands of families, the fact that his sentence has been increased to life is the very least he deserves for the role that he played as the architect of genocide during the war”.